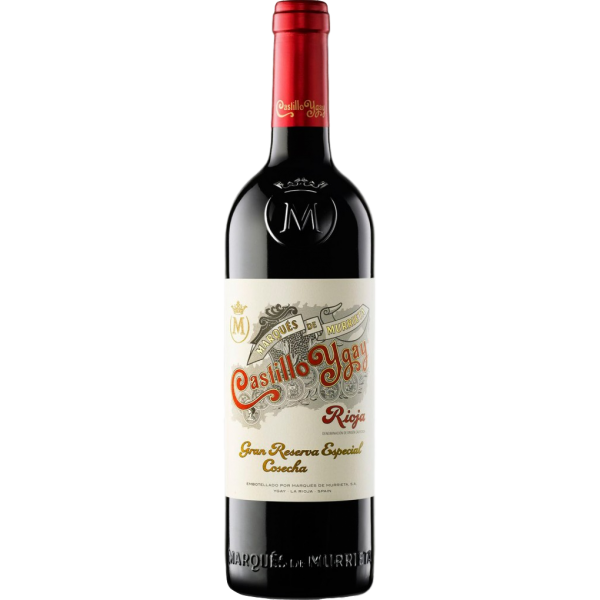 Marqués de Murrieta’s “Castillo Ygay” is a renowned label, an icon of total quality and excellence in Gran Reservas. The historic wine is produced exclusively in the best years from the Estate’s best single vineyard. The wines is composed of mostly Tempranillo and approximately 15% Mazuelo (also known as Carignan). Whole bunches are de-stemmed and gently crushed, then racked and fermented in stainless steel. The wine ages for 28 months in 225 litre oak barrels: American oak for the Tempranillo, French oak for the Mazuelo. Just after final blending, before bottling, the wine settles in concrete. The finished wine spends at least three years in bottle prior to release. Please contact us to discuss the availability of large formats.